If you leave the Trevi Fountain on via delle Muratte, turn left at the second street. 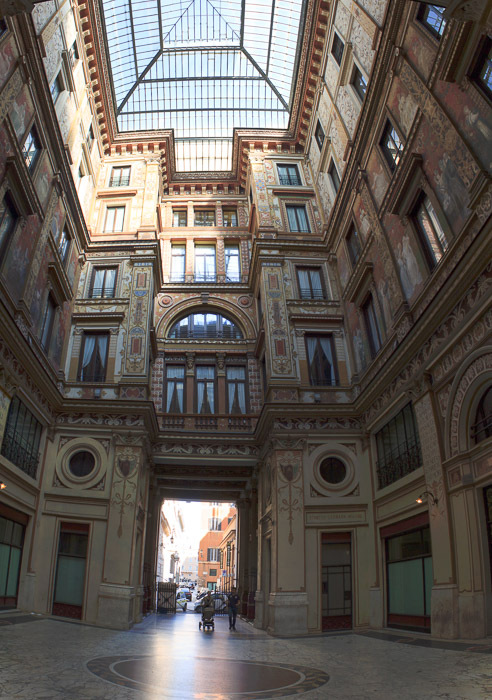 It ends in 1 block, and at the end of that short street you'll come to the Galleria Sciarra, a richly ornate public passage whose entrance is blocked to traffic by a large chain. Just step over the chain and enter the intricately decorated 3-story courtyard. It was built in the late 1800s as a private courtyard, but in 1880 the owner had a long extension built at the back and it was soon turned into a public passage. Now it belongs to the Bank of Rome. 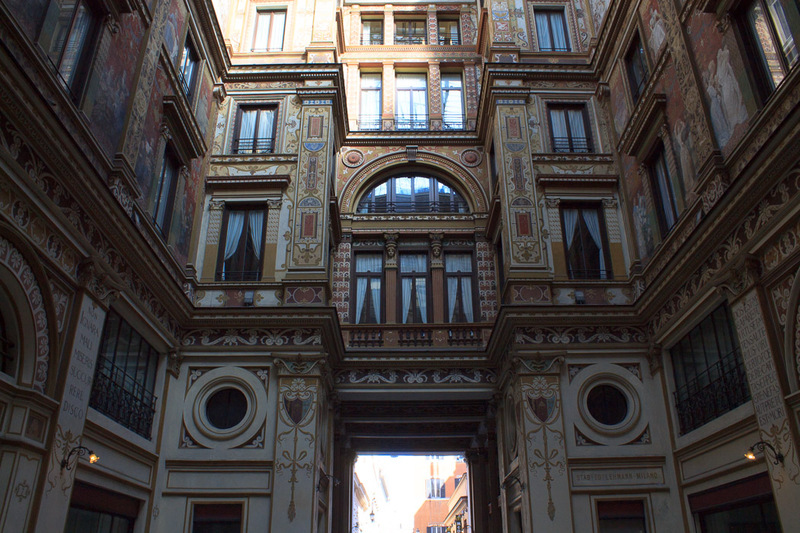 Its inner walls are gorgeously frescoed, representing one of the few examples of Art Nouveau in Rome. See all Galleria Sciarra photos.